The 2016 Rio Olympic Games kicked off at the beginning of the month (5th August) with the usual spectacular opening ceremony that we have come accustomed too. For the next week, we will see the best athletes from around the world compete for glory and national pride. Nevertheless, once all the gold medals are handed out, and the torch has been passed on, the question on everyone's mind will be "Was it worth the money?" At present, the cost of Rio is estimated to be around $4.6 billion (£3.5 billion). That's without including another $1.6 billion (£1.2 billion) expected to be over their budget. That total is still a lot lower than the cost of the 2014 Winter Olympics in Sochi. It is somewhat difficult to measure the effects of a mega-event like the Olympics. The London Summer Games cost around $15 billion (£11.6 billion), including the infrastructure costs. While being less than Sochi, the London Games ended up running far over budget. It does not necessarily mean the Olympics were bad for London. British athletes won a stunning 29 gold medals and 65 in total - which is the best tally since 1908. One of London's biggest success stories has been its use of Olympic facilities. The Government announced in March 2013 that the Olympic Stadium would be turned into a state-of-the-art 60,000 seat football stadium, which will now host Premier League football team West Ham United. However, British athletics are also included in the primary tenancy agreement to carry out the 2017 World Athletics and IPC Athletics World Championships. A sports economist, who has studied the Olympics extensively, said there just isn't much data to support the idea that the Olympics are made up over time. Another reporter said the cost of the games could end up being closer to $20 billion (£15.5 billion) because of the muddled arithmetic used by city officials and Olympics organisers. So, how do we understand what the real cost is? Firstly, there are essentially three buckets of money that are used to host the Olympics: operations costs, including security; venue construction or renovation costs; and infrastructure costs. Unlike London, Brazil has struggled much more obviously from the start. The nation's economic woes and infamous Governmental corruption aside, the games have been a plague of bad publicity. A string of major athletes refused to go to Rio due to fears of the Zika virus. Guanabara Bay where the sailing events will take place in is full of sewage. Also, there is a potential strike by police over unpaid wages which has led to security concerns. How much would it cost to go to the Olympics? Despite the hundreds of thousands of people and the hefty price tag, you may love the opportunity to be able to go to the Olympics, to witness world history in the making. We've been thinking how much does it cost to go to the Olympics? Firstly, flights skyrocketed with prices starting from £1,000+ compared to £640+ a month later. Secondly, hotel prices in Rio have dramatically spiked compared to this time last year. Thirdly, tickets to get in to watch the events could have cost you up to £..... Alternatively, if you can't get in, then you could watch the events on some of the big screens that have been set up around Rio. According to the events website there were 7.5 million tickets available to watch the events. If you were to go to the opening ceremony or a high-profile event, and other smaller events like fencing or archery, you may be able to keep the costs down slightly. However, if you go all out, then the tickets could be the most expensive part of the trip. Lastly, how are you going to get around? Are you wanting to take souvenirs home with you? Reports have said that you could spend another couple of hundred pounds on transport, food, tips and other costs. Forbes reports suggest carrying no more than R$100 (Brazilian currency) (£24) with you at any one time as pick pocketing is fairly common. Would you have liked to have gone to the Rio Olympics? 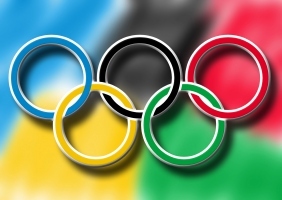 Would your company have allowed you the time off to go to the Olympics? Is going to the 2020 Olympics one of your Lifestyle goals?